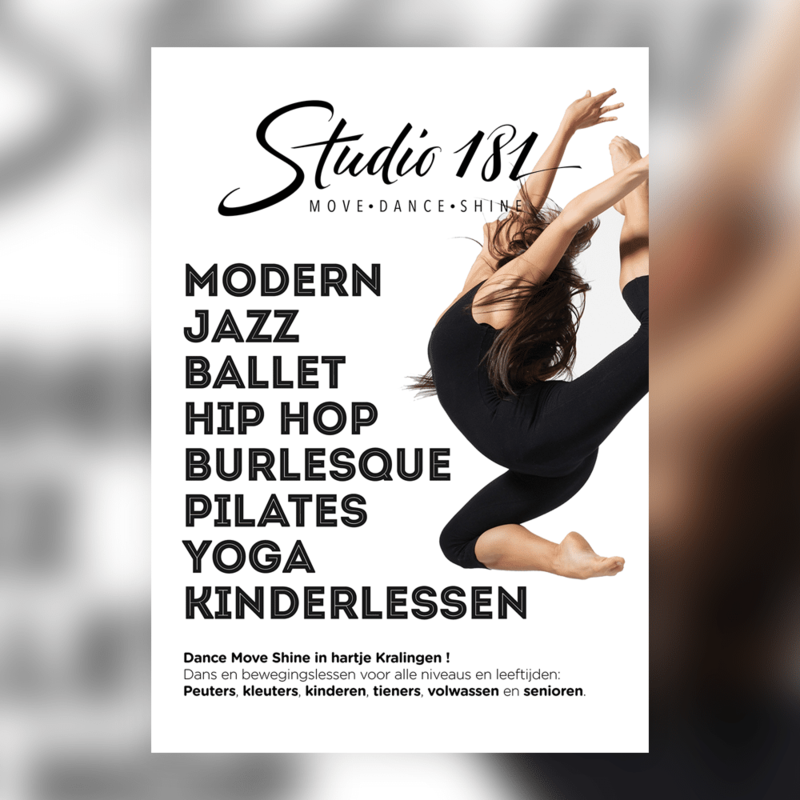 We worked with Studio 181 and helped them to do a partial rebranding of their company. We have reached their expectations and satisfied their budget limit. 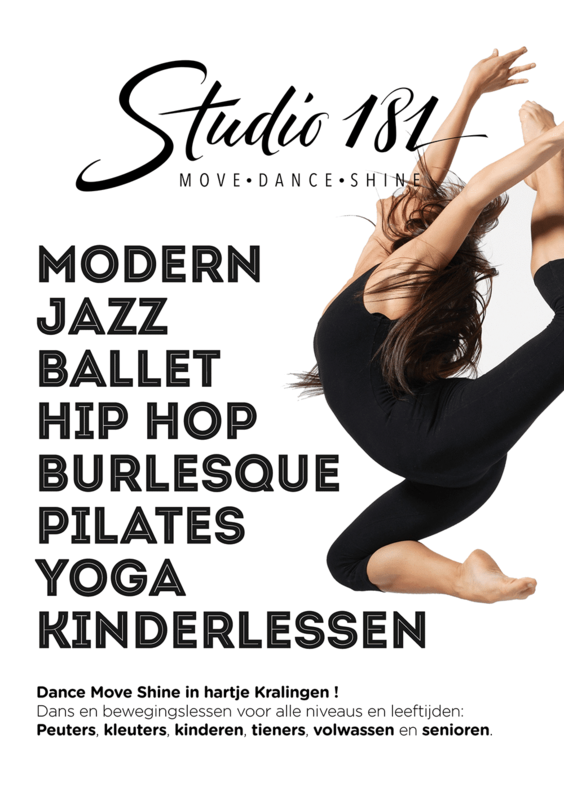 We created a new logo and designed a clean and effective advertising poster. 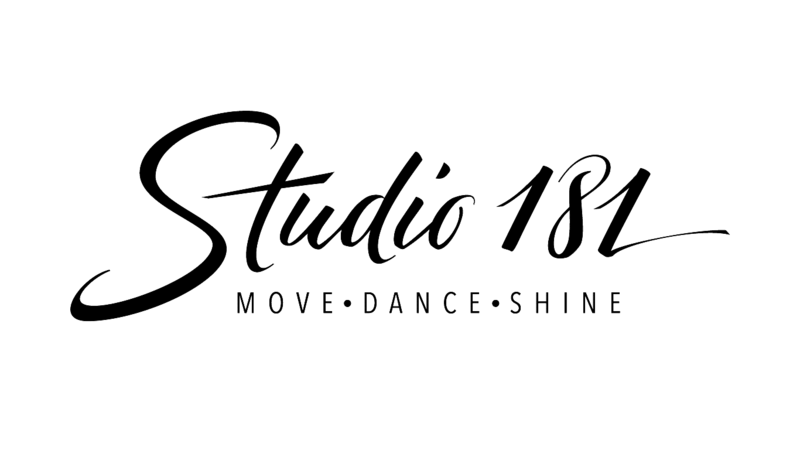 Studio181 is a school of dance for all ages. 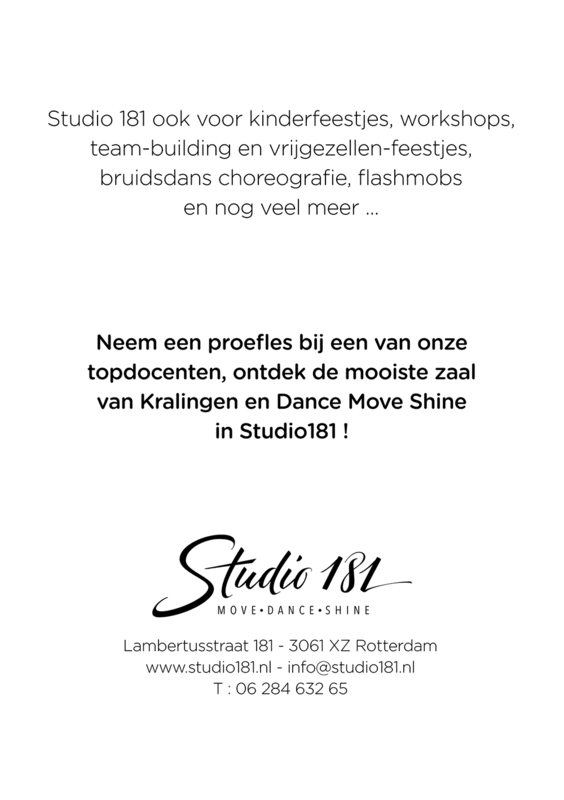 The services offered by Studio181 are jazz dance, modern dance, breakdance, clip dance and more. ”Their insight and professional approach made the rebranding process smooth and successful. The work was quick, respecting deadlines and communication has been clear. 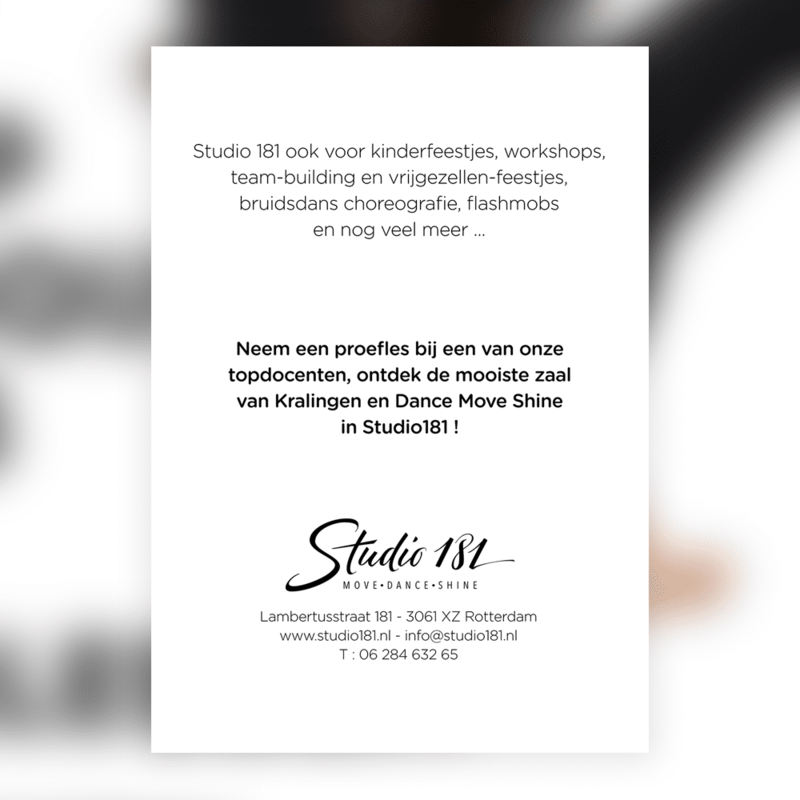 Our tasks: Rethink and redesign their logo and create an advertising poster. We developed the creative process in 6 steps. First of all the creation of the design brief. Consequently, the research phase with the client (useful to understand the business tastes). After that, the best part: The creation and the exhibition of 6 different drafts. A ton of client feedback followed by our changes and, finally, the delivery of the logo. After that, we focused on the poster design following the minimal and elegant style expressed by the logo.